BRISTOL - Police departments in Connecticut are collaborating to investigate recent tire and rim thefts. WFSB-TV reports Bristol Police Chief Brian Gould said Tuesday during a City Council meeting that there have been 24 reported thefts in Bristol since April. Gould says the tire and rim thefts are a regional issue. According to Gould, vehicles that are targeted include Acura, Audi, Mercedes and Infiniti cars. He says the thefts have been mostly in residential neighborhoods and apartment complexes. 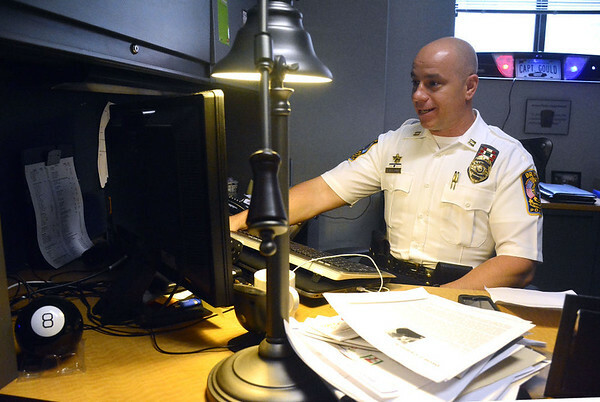 Bristol police are analyzing data and sharing information with other departments. Gould says drivers should make sure they lock their car doors, park in well-lit areas and activate security systems in their vehicles. Anyone with information on the thefts is asked to contact the Bristol Police Department. Posted in New Britain Herald, General News on Wednesday, 12 September 2018 13:08. Updated: Wednesday, 12 September 2018 13:10.